The way Danny Fick gushes about the outdoor hockey rink in Scandia he might just as well be a mountain climber describing the view from Everest. Which is to say Fick holds a deep reverence for the well-manicured sheet of ice located five miles east of his Forest Lake home. Fick said there’s a pond behind his family’s home where he can skate, but he usually abandons that ice surface after the first few snowfalls. Instead, he goes to Scandia, where he said he has spent 12-hour days at the rink, loving every second of it. “And that was last year,” he said. All those pick up games helped Fick develop into one of the state’s smoothest skating defensemen, and on Tuesday he accepted an offer to attend Harvard on a hockey scholarship. 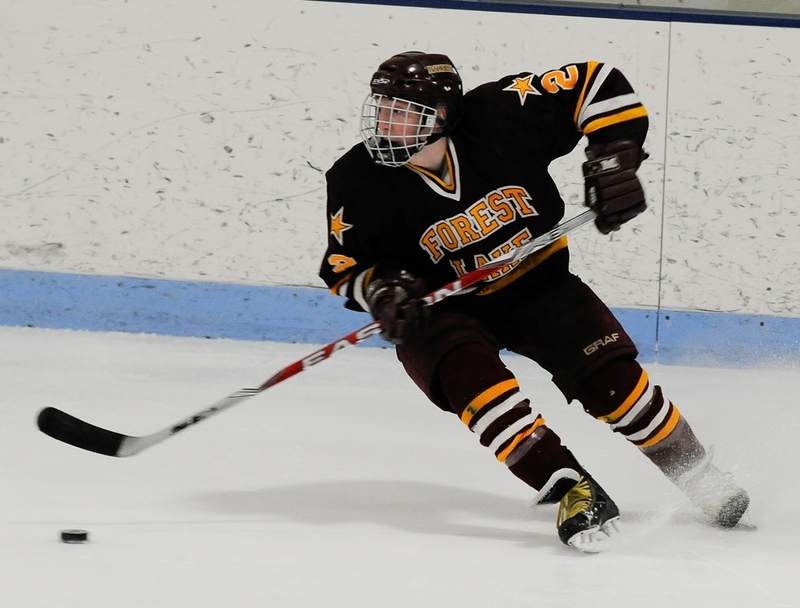 The 5-foot-11, 170-pound Fick scored seven goals and 19 assists last season for the Rangers, who went 12-12 during the regular season then pushed eventual Section 7AA champion Duluth East into overtime in the section semifinals before losing 3-2. Fick had two assists in that loss to the Greyhounds. Housley, a high school superstar at South St. Paul who made the jump directly to the NHL, played a style similar to Fick in that Housley wasn’t afraid to use his superior skating skills to his advantage. Fick said he most admires the playing style of the Anaheim Ducks’ Scott Neidermayer, yet another defenseman with the speed and grace of a gazelle. Fick was a standout in the Upper Midwest High School Elite League this fall, and he was among a select group of about 40 players from the league who made the cut to play at the Bauer National Invitational Tournament that concluded Sunday at New Hope Arena. Fick, who also plays baseball in the spring, said he’s always wanted to play in the WCHA. He said some WCHA schools were showing interest, but as a top student (Fick has a 3.98 grade-point average) who might study pre-med, Harvard and the ECAC ultimately was the best fit. What has worked out for Fick is that outdoor rink in Scandia. He’ll be a fixture there again this winter, no matter how hectic his high school schedule gets.